I put them here because they are botanically related to the forum subject matter but they are not psychoactive. At lest to my personal knowledge. personally i liek the non psychoactive platn disscusion better here anyway so keep it coming. 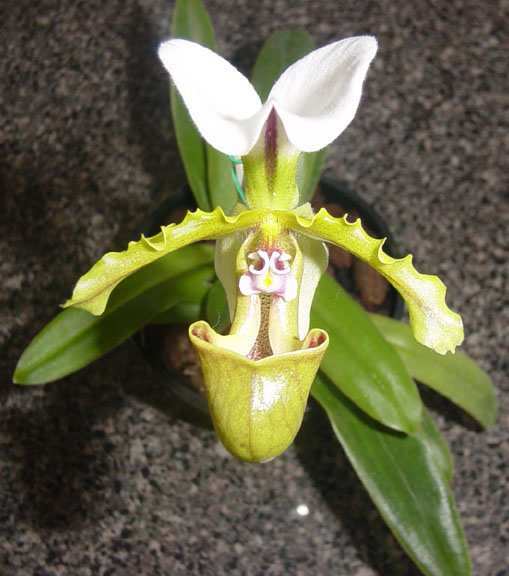 any idea what type of orchid? It is from the genus Paphyopedilum but I wouldn't know what species. Here is a pic of a Paphyopedilum of mine which flowered last year, each growth point flowers only once I believe. 538 topic views. 0 members, 5 guests and 2 web crawlers are browsing this forum.